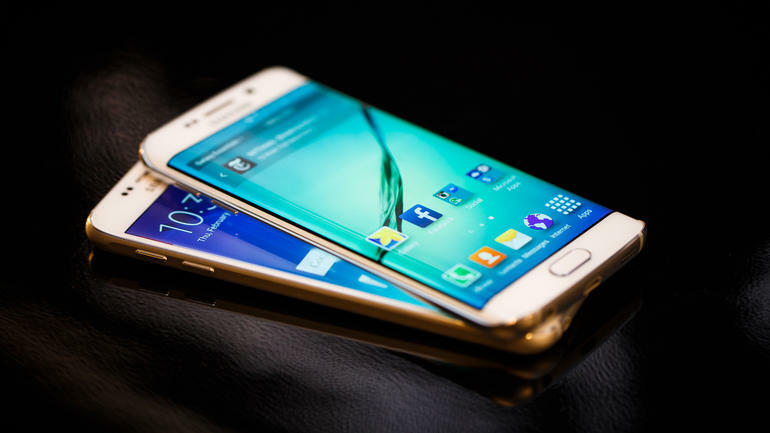 Samsung has confirmed about memory leak issues on the new Galaxy S6. The OS may be bad in terms of bugs but the smartphone has all the rights to be called of the best in the market. The memory mismanagement problem arises in the Galaxy S6’s RAM when it fails to free up space for applications that are not being used. This means, for every new app that you install, it takes a portion of RAM for itself permanently, even when the app is not running. This causes applications to slow down and eventually crash. For a short period of time you can close all apps but it wont solve the problem for good. Luckily, Samsung has rolled out an OTA update for the Galaxy S6 with a build number of G920FXXU1AODG and model number SM-G920F. The update is yet launched for the European countries alone and if the problem persists, Samsung might eventually roll out a complete update. The update consists of bug fixes, under the hood improvements and enhanced software stability. Do take note that the main purpose of the OTA update is to fix memory leak issue on the Galaxy S6. So lets get to work and install the OTA update. Before we begin, do take note of the details that you must tally with your Galaxy S6, in case you missed out on one of the aspects, your device might get bricked. Also make sure you have USB Debugging mode on. At least keep 80% of battery in your S6 so it may get through if the operation gets stuck while rebooting. The device variant should be fully unlocked so you can make changes to it. When you install the update, your device may lose the rooted status. The custom ROM and custom recovery will be lost after changes with the new OTA update has been made. The stock firmware build of Lollipop, G925FXXU1AODG works with Galaxy S6 Edge only. 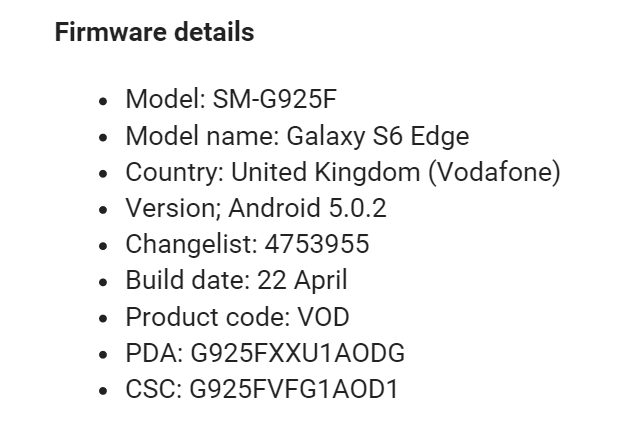 Heres how to install the Android 5.0.2 update on your S6 Edge, model number SM-925F. Download the G925FXXU1AODG firmware ZIP file and extract them using any tool. Also Download the Odin Zip file. Extract both of these files on your computer. Make sure your computer has appropriate USB drivers installed. On your computer, Launch Odin as Administrator.Do this by clicking the Odin tool then right click on it and from the drop down menu, click Run as Administrator. On your Galaxy S6 Edge, enter the Download Mode. You can do this by press hold Power, Home and Volume Down button together. Your S6 Edge must now be connected to the computer in Download Mode. Odin will detect the device in a while and when it does the ID: COM box will turn light blue. Odin will also display the COM port number. You must be patient because it might take some time here. Click on AP button while in Odin and select the extracted firmware files done in step 1. In Odin, also enable the F.Reset Time and Auto Reboot checkboxes. Uncheck the Re-Partition checkbox as well. Authenticate your operation above and click Start in Odin. The installation will start which might take some time but once its done, your S6 Edge will restart automatically. After the restart, your normal Home Screen will appear, at this point, unplug your device from the computer. That’s it. 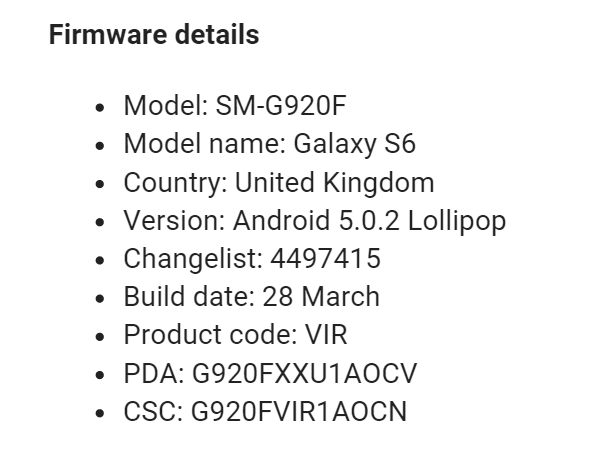 Your Galaxy S6 Edge is now on Android 5.0.2. You can check this by going into Settings > About Phone ansd see build number. The update to Android 5.0.2 will fix Memory Leak issues. The procedure is same for the Galaxy S6 variant. You can Download the Firmware ZIP from here and the Odin Tool from here. Make sure you have the corresponding firmware details because Wccftech would not be held responsible for any damages. Plus, as always, we would suggest you to do this only if you have an experience in the field. Otherwise, you might end up bricking your device permanently. Stay tuned for more guides and news. As for now, comment your thoughts on it.